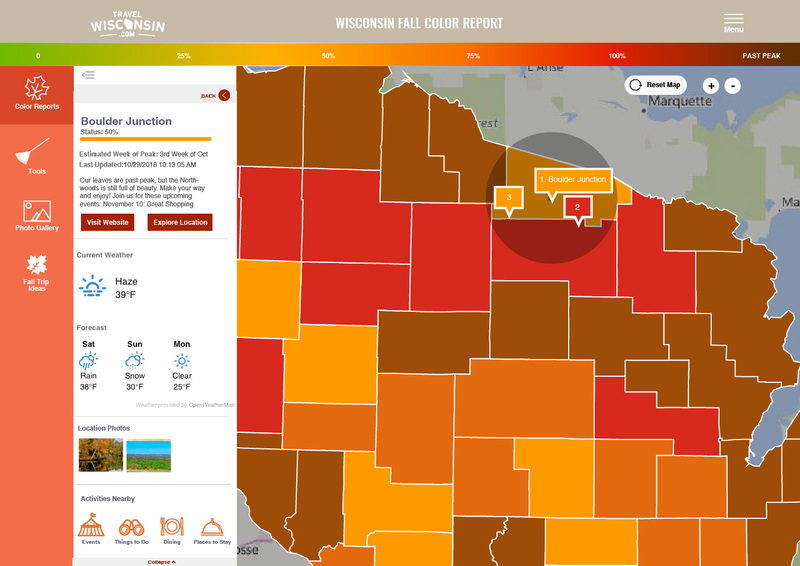 Travel Wisconsin’s Fall Color Report is a great example of how you can connect with your customers on a deeper level by creating meaningful experiences. Ascedia changed Travel Wisconsin’s app from informative to engaging. Read on to see how we increased visits and engagement by encouraging user-generated content. 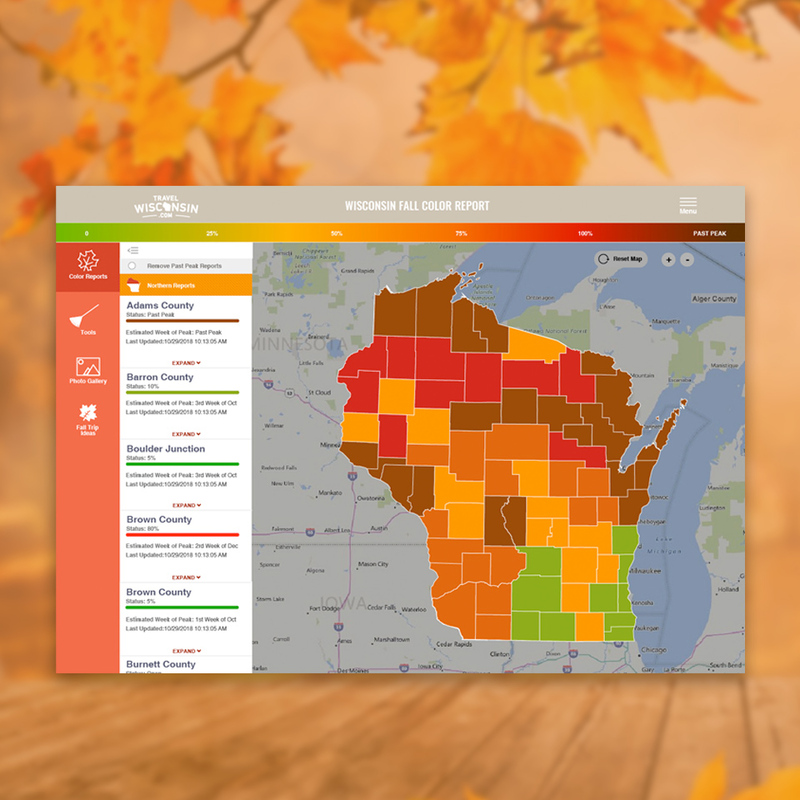 The Travel Wisconsin’s Fall Color Report is an interactive map that offers visitors the chance to find the best locations for viewing fall colors. It was time to take it to the next level by allowing users to not only find locations but to share their own experiences as well. We built the functionality for visitors to submit a photo, tag a location, rate other user-submitted photos and share their activity on social networks. We also built in the functionality for system admins to moderate and approve all photo submissions. This created added value because Wisconsin Tourism staff to curate the photos and share their selections throughout TravelWisconsin.com and social media. 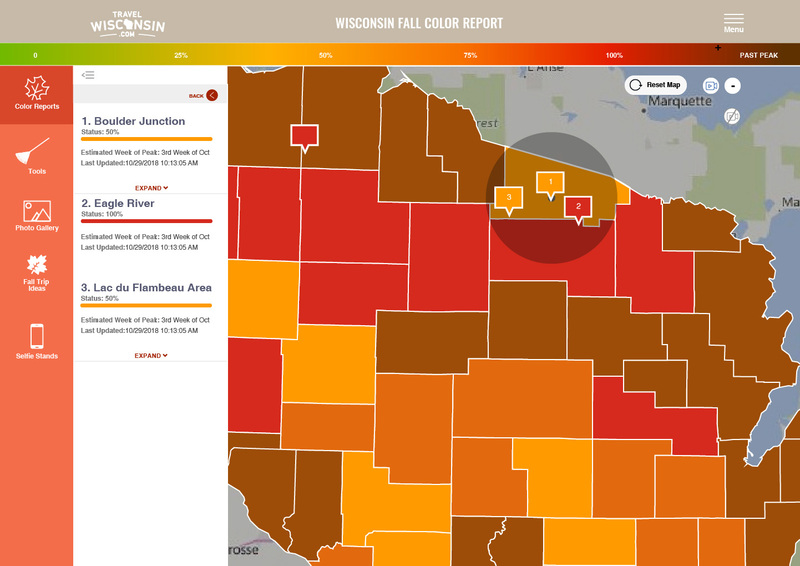 The TravelWisconsin.com Fall Color Report is updated weekly between September and October each year. The Fall Color Report hit one million visits in the first year. The Fall Report activity also increased link clicks to nearby dining, lodging, and things to do on the map by 88%.